* At the beginning of the service, identify HOLY as the word of the day and challenge children to count the number of times it is used in worship. Hear their counts as they leave the sanctuary and congratulate them on their effort. * Unlike the NRSV, Today’s English Version (The Good News Bible) does not assume that the reader knows about gleaning and other old practices. That makes it easier for children to follow. * Invite the congregation to join in reading the scripture by saying the “I am the Lord” phrase each time it appears. Print the text in the bulletin and explain the meaning of the phrase in this context before reading together. Be holy, because I, the Lord your God, am holy. leave them for poor people and foreigners. All: I am the Lord your God. Leader: Do not steal or cheat or lie. that brings disgrace on my name. Leader: Do not take advantage of anyone or rob him. hired, not even for one night. to make him stumble over it. speak out if your testimony can help him. All: I am the Lord. so that you will not commit a sin because of him. but love your neighbour as you love yourself. * Most children are told (and want) to be cool, smart, happy, good… But Moses is calling them to be “holy.” Most of them have no real idea of what that means. Some may connect “holy” with extra good, maybe even overly good people and therefore do not want to make it a goal for themselves. They will need help defining the word. One starting point is the way the word is used to describe God. If the word appears anywhere in the sanctuary, point it out. Look at the Holy of Holy Bible. Consider starting worship by singing “Holy, Holy, Holy” and then talking about what we sang about God. Next work with the fact that we are made in God’s image and are meant to be as like God as we can be. That means we are supposed to be holy. The specific commands in the text provide examples of what God does and calls us to do. Or, point out that holy means set aside for God. Just as the Bible, the communion table, etc are set aside for the service of God, we are also set aside to be God’s people. That means we are holy. At our baptism we are set aside for God. * To explore how we are set aside for God at our baptism and thus holy, select a few key phrases from your congregation’s ritual. For me, it would be “you are Christ’s forever” and maybe “do you renounce evil.” Talk briefly about what each phrase says about how we live every day at school and how we treat other people. * Side bar: Many children hear the word holy most often in expletives - holy smoke, holy mackerel, holy cow, and probably a number of phrases you’d rather not utter in the sanctuary, but which one of the children will say if given a chance. It is possible to note these phrases illustrating with a few of your choice, then point out that they make no sense at all. They are simply things we say when we are so frustrated or angry that we have to say something flashy. Rather than use holy which refers to God to do this, we can use other words. Some children make up long twisted words or phrases like “horseradish pickles.” A case can be made that using holy in this way is misusing God’s name. This is definitely a side bar and not the heart of today’s worship themes. * This is the second of the Psalm 119 readings. 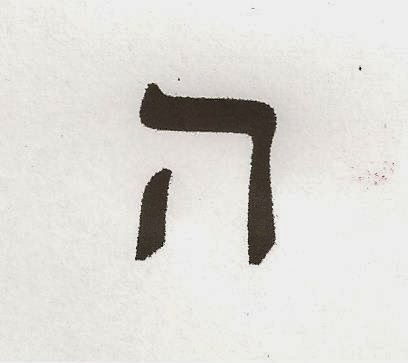 It continues the alphabet poem with today’s verses starting with the Hebrew letter “he.” If you did not introduce all the synonyms for Law in Psalm 119 last week, go to Epiphany 6 (Yr A) 6 for an idea about doing so this week. * All the lines of this section start with a verb asking God’s help in living by the Law, or for today’s purposes asking for help in being holy. After reading the lines the poet offers, make up some of your own and challenge worshipers to create lines of their own, e.g. * The “you” in this passage is the church not any individual. The church is God’s temple, where God is present and known. The writer is exploring the value of the church and the responsibility of leaders and members to care for it, protect it, even keep it “holy” (tying into the Leviticus reading). Children are ready to hear this message, but will not be able to find it from the text as it is read. Instead, they will depend on worship leaders to identify and explore the theme. * As background for the text, identify leaders in your congregation. Identify the elected leaders and give a brief child-friendly description of their responsibilities. Ask those who fill those offices to stand so the children and others can see them. In addition, identify some of the unelected leaders. Name some people who take care of the church by quietly doing specific jobs, e.g. people who set up the sanctuary for worship, people who take a turn in the church nursery, people who maintain the church’s library or kitchen, or anyone else who does work that cares for the church. * If you pray for the leaders of your congregation, be as specific as possible. Name the offices and pray about the work of those in that office. Though you may not want to name names of unelected leaders you can pray for those who do very specific tasks. Thank you God for the people who work so hard on the worship planning team to provide prayers and songs and readings that guide all of us every day. God, be with the deacons as they visit people who are sick and sad and lonely. Help them find the words to say that will remind people how much you love them and how much we love them. Keep them safe as they deliver food and run errands for people. * Use the finger-play “Here is the church, Here is the steeple, Open the doors to see all the people.” The second verse (with fingers on the outside instead of inside) is “You can have a church, and not have a steeple, But you can’t have a church without any people.” After demonstrating the finger play and inviting everyone to go through it with you, keep your fingers up and wiggling. Announce that today we are thinking about the fingers, the people of the church, that is us. Point out that every one of us is responsible for the care and protection of the church. Ask a children’s choir or class to sing “We Are the Church” by Avery and Marsh. Scroll down on this page to We Are the Church to see the words and tune from the Methodist Hymnal. Sing “God of Grace and God of Glory” as a prayer for the church. 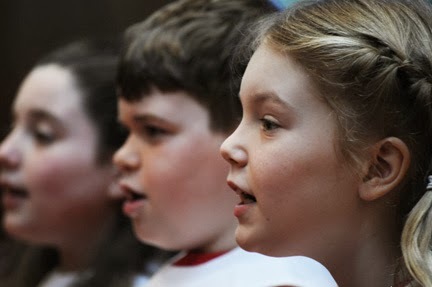 To challenge children to sing every “grant us wisdom, grant us courage” in the refrains, even if they can’t keep up with all the verses because we the church really do need wisdom and courage to be the church everyday. * Today’s “Jesus said” poster is obvious. 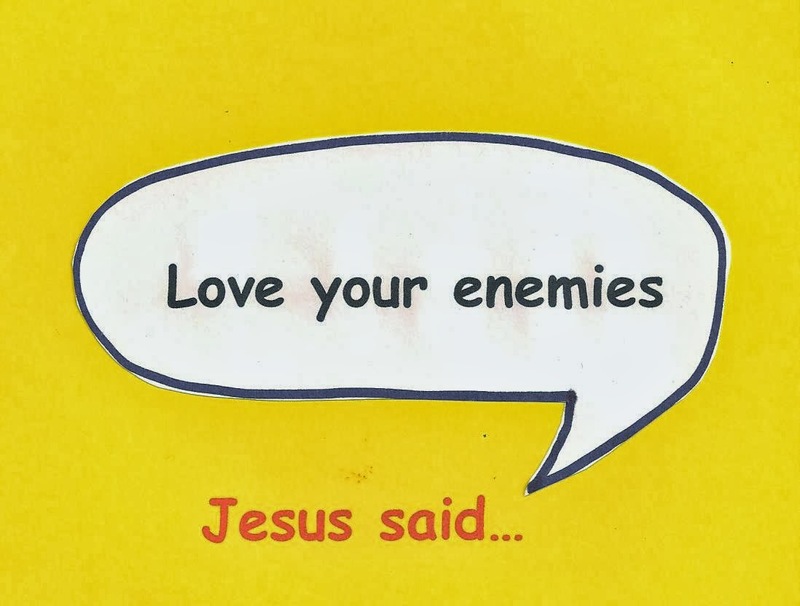 “Love your enemies.” As you add it to the other posters or put it on display admit that it may be the hardest thing Jesus ever said. * “Love you enemies.” Love here is a verb that means treat with respect. To most children love is a feeling or the way you act when you feel good about someone. Jesus’ teaching is that we should treat everyone, even people who are not nice to us, with respect. We must remember that no matter how they are treating us, they are God’s children and we need to treat them with respect. This takes some explaining! * Several stories in which children refuse to participate in revenge are worthy sermon illustrations. 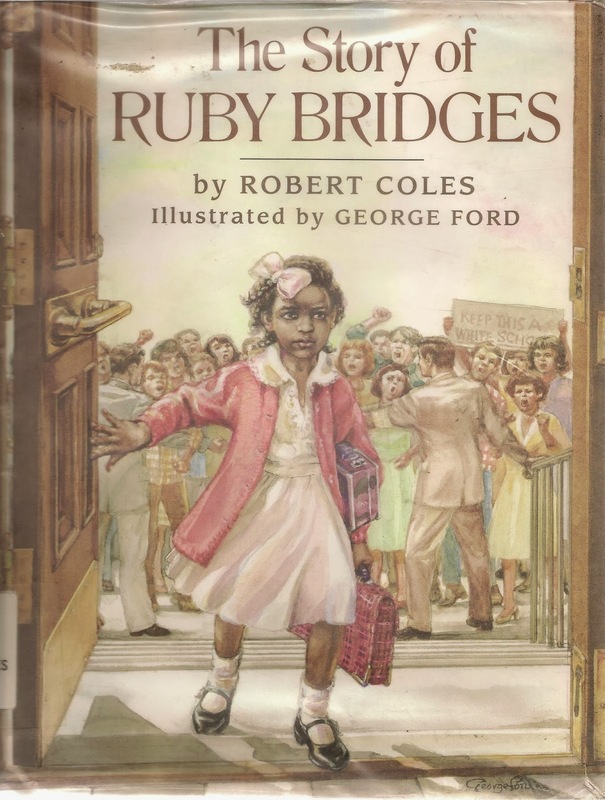 The Story of Ruby Bridges, by Robert Coles, tells the true story of a seven year old African American girl who was escorted to school every day for months by federal marshals through angry yelling white crowds as schools were desegregated in the American south. Each day she prayed asking God to forgive the people who were yelling at her. Children may have heard this story during Black History month at school as an example of how hard it was to end segregation. Revisit the story in worship as an example of a girl who chose to forgive rather than retaliate. Check this out from the public library if it available – it is Black History month. 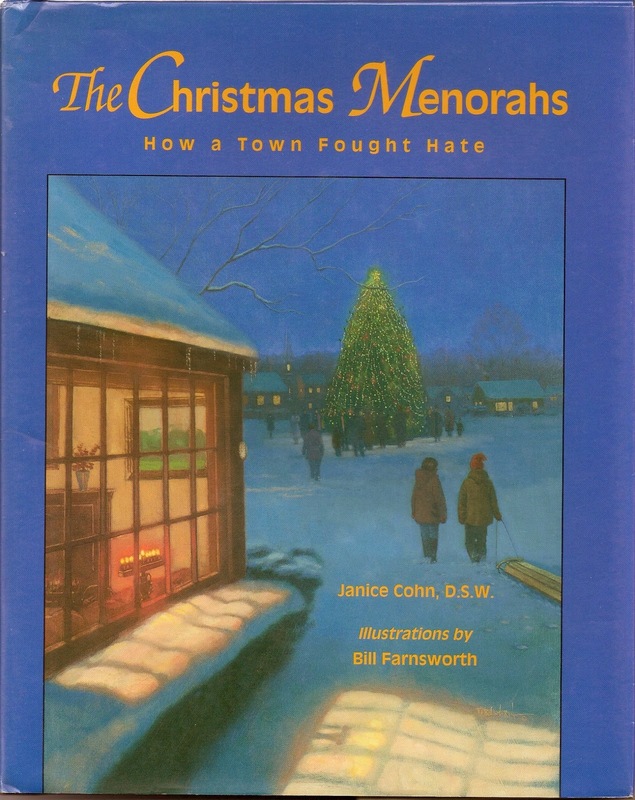 The Christmas Menorahs: How A Town Fought Hate, by Janice Cohn, is too long to read in worship (40 pages). Read it in advance and tell the story in your own words during the sermon. A hate group threw a rock through the bedroom window of a Jewish boy in Billings, Montana. There was a menorah lit in the window. In response the children of the town drew menorahs to put in their own windows. The local newspaper printed a full page menorah for other families to color in. It was the community’s way of standing up to a bunch of bullies. The book includes the legend about the King of Denmark wearing a yellow star when the occupying Nazis decreed that all Jews must wear a yellow star. Available in many public libraries. 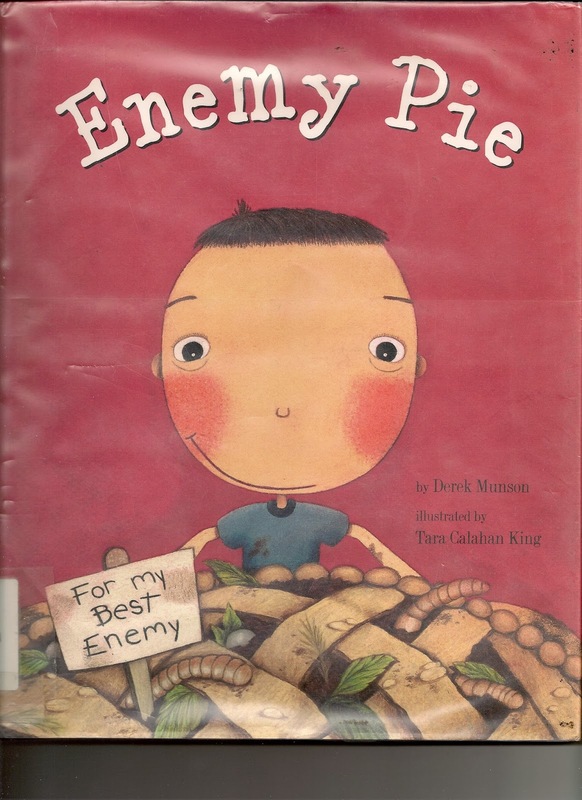 Enemy Pie, by Derek Munson, is a picture book describing how Dad helped his son get rid of a neighborhood enemy by baking an enemy pie. The secret ingredient in the pie was that the son had to spend the entire afternoon with his enemy being nice to him. Of course the enemy was dispatched by becoming a friend. The story could be told briefly in your own words during the sermon or could be read in its entirety in 10 minutes. While it is a bit simplistic, the story teaches a clear message and is enjoyed by listeners of all ages. Though the story is not widely familiar, I found several copies in the local public library. * If the children are sitting near you, hold out your hand and ask the child to slap your hand. After the slap act surprised and say, “You slapped me! I owe you one.” Then insist that the child hold out his or her hand. Gently slap it. Then say, “Oh no! Now you owe me a slap.” and offer your hand. Continue for several rounds. Then, stop yourself before you slap the child’s hand. “This could go on forever.” Announce that you are owed a chance to slap, but you are not going to take it. It is the only way you can stop the slapping. Thank the child who slapped with you. Then, note to everyone that this was a rather silly demonstration of something serious we face all the time. If someone hurts us, we want to hurt them back. If they call us a name, we call them one back. If someone breaks something of ours, we want to break something of theirs. If someone slaps or hits or kicks, we want to slap or hit or kick back. The problem with that is that everyone forgets who started it and keeps on hurting each other. Jesus tells us we have the power to stop all the hurting. Even if we deserve a chance to hit or kick or call names back when someone hurts us, we can refuse. It is one of the hardest things Jesus asks us to do. Note briefly that this doesn’t mean we should let anyone who wants to hurt us do so any way they can at any time they want. What Jesus says is that we should find another way to get things straightened out. Lots of time we need help to figure out that way. Jesus knows that and urges us to get all the help we can, but not to hit, slap, kick, hurt back. Before singing the The Servant Song (“Brother, sister, let me serve you…”), give worshipers a moment to make a silent list of the people it is really hard to get along with. Then challenge them to sing the song for those people. Even read the first verse and point out that it is also the last verse – and not easy to sing/pray for the people on our lists. There are two verses in Carolyn Winfrey Gillette’s hymn “Up On a Mountaintop” (words at Up On a Mountaintop) that fit these verses especially well. Take time to read them and illustrate them with everyday child or household situations before inviting worshipers to sing the whole song. But not with hatred or weapon or fist. Stand up and love them! And give them God's grace. Love those who hate you and pray for them, too. God's mercy reaches out far beyond you. So you can witness to God's perfect way. Thank you for a very thoughtful collection of resources for a children's time during worship. I just got called to fill in for a pastor who is ill, and your efforts are much appreciated and will be put to use. Thank you for your fine work. These are wonderful ideas. I visit your page almost every week. Like Pastor Mike, I visit your page almost every week and always get at least an inspiration. Thank you.